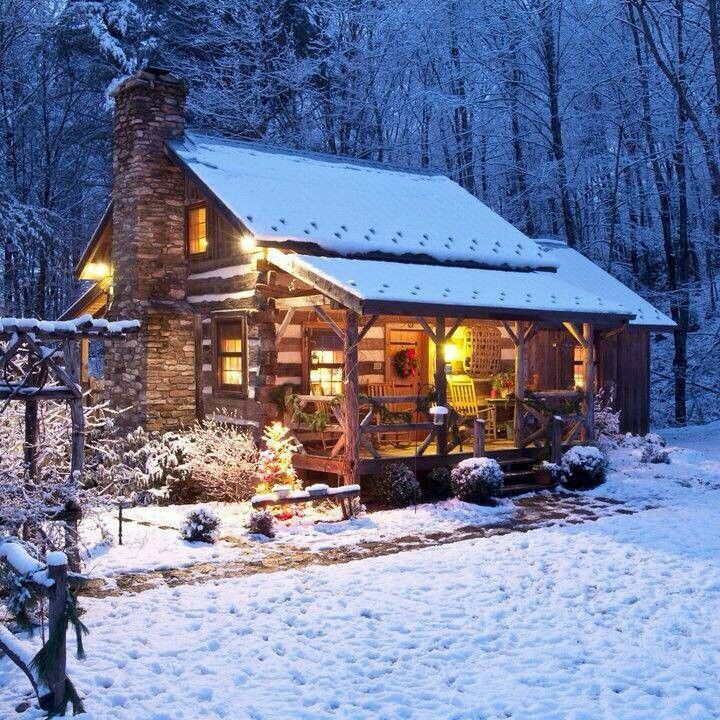 Baby, it’s cold outside, which means I am in full nesting mode, perusing ways to make my home more cozy on the cheap. In an economy where every dollar counts, making do with what you have, upgrading what you have, or scouting out old treasures from second-hand shops and rethinking them in a fresh way not only provides a look for you home that seems more curated, it’s fun. 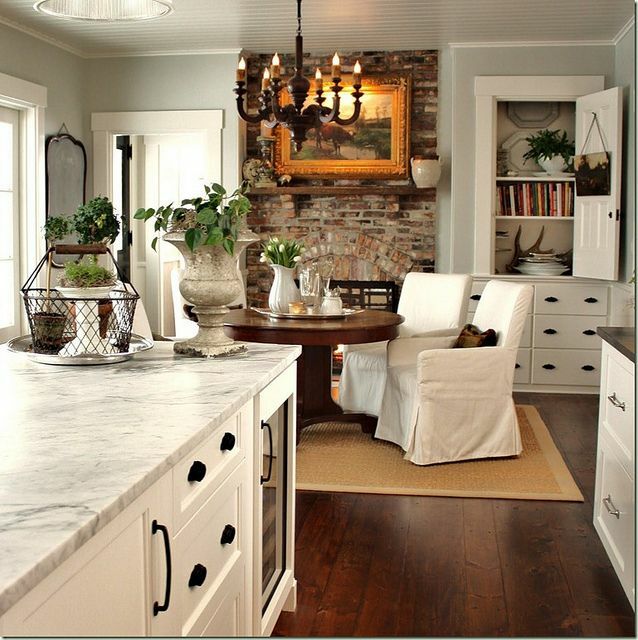 People are yearning for homes with character and that exude a feeling of permanency. For Audra, at Simpsonized Crafts, this meant remaking her boring bi-fold doors into faux barn doors. And it looks great. 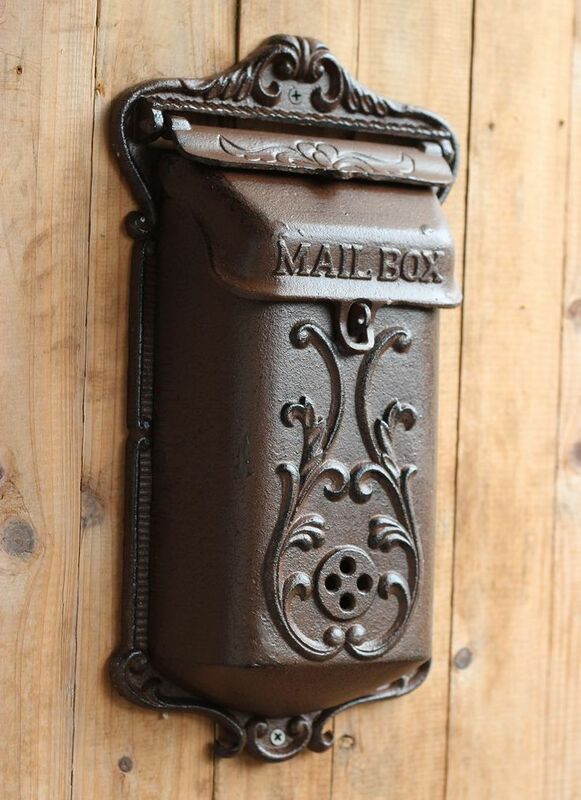 If you’re not feeling all that handy and don’t have the time to commit to a project of this magnitude, you can still find pieces that add age and charm to your home, such as this beautiful iron mailbox. The link is no longer available, but you get the idea. 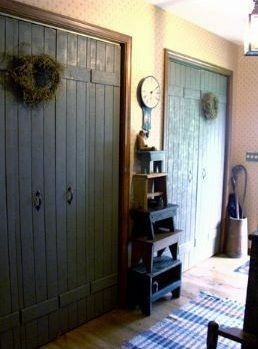 Learn the fine art of layering items without creating a cluttered look. Pottery Barn designers are masters of this technique, but I was sucked into this photo from Man Made for its solid, simple and classic feel. If you don’t have the spare cash to splurge on accessories, this is where second-hand shops are fantastic. A lot of kitschy Good Will knick knacks can be spray painted all gold, white, or black for a more modern look that packs a lot of impact. Use photos such as this one as a guideline on the height and placement of objects. Finally, rethink how a space may be used in an unexpected way, such as this kitchen from Flickr, which has the feel of a sitting area rather than a dining room. And it is packed with charm–bead board ceiling, a brick fireplace, and extra wide molding around doors and windows.